Mario Jakob points to a field just yonder. He’s a rugged guy, his face and arms tanned by long days in the Florida sun. But he’s not above wearing a beekeeper’s hat, his face veiled in protective netting. Mario Jakob, owner of D and J Apiary, is a beekeeper in Umatilla. Jakob, a third-generation commercial beekeeper, owns D and J Apiary, an impeccably organized apiary supply store and gift shop nestled along a twisting backroad in Umatilla, arguably one of the prettiest spots in central Florida. As available land for hives recedes, he is grateful for the St. Johns River Water Management District’s apiary lease program. The district began an informal leasing program about 10 years ago, but recently redesigned the program to ensure that it was equitable to all applicants, covers the district’s administrative costs and didn’t overload district staff who manage the program. The district, which owns more than 730,000 acres of land, is a natural fit for an apiary leasing program, says David Westervelt, the Florida Department of Agriculture and Consumer Service’s assistant chief for apiary inspections. 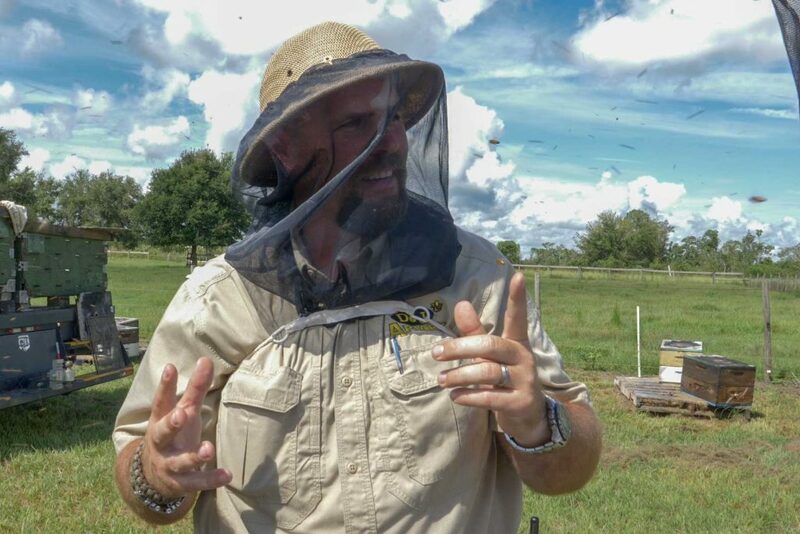 Apiary programs on public lands are increasingly important as Florida’s natural areas continue to yield to the state’s growth needs, he says, stressing that honey bees are the world’s most important pollinators of food crops. St. Johns River Water Management District Executive Director Dr. Ann Shortelle lauds her staff for going the extra mile to develop an equitable program that is mutually beneficial to beekeepers and the district. The St. Johns River Water Management District, which owns more than 730,000 acres of land, is a natural fit for an apiary leasing program. 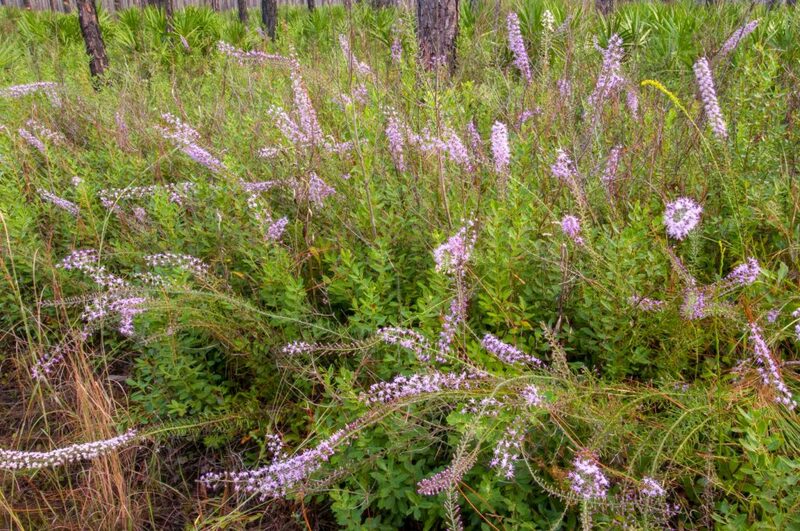 Flowering plants on district lands help strengthen hives during the shorter winter days. It’s nearly impossible to overstate the importance of pollinators on our ecosystem. Florida’s honey industry is consistently ranked among the top five in the nation with an annual worth of $27 million. In addition, the Florida honey bee industry benefits Florida’s fruit and vegetable industry by providing an estimated $65 million in increased production numbers created by managed bee pollination services that are available in no other way. Florida’s honey industry is consistently ranked among the top five in the nation with an annual worth of $27 million. The fully stocked shelves at D and J Apiary in Umatilla are representative of the strength of the industry. Jakob is a major-league beekeeper, juggling 3,000 beehives and 500 mating nucs (small bee colonies that can be grown into hives) and managing the family’s giftshop and supply store that sells everything from hives to honey to beeswax candles. Oh, and he offers seminars for newbies interested in growing a backyard apiary. Diversification, he says, is the key to survival in this business. Which is why he takes his show on the road, trucking hives to California to pollinate almond trees and to upstate New York for goldenrod honey. In the insect world, bees are seasonal migrant workers. And Jakob knows diversification is the key to survival. Survival of the bees is another issue altogether. According to the U.S. Department of Agriculture, elevated losses in managed honey bee colonies since 2006 has raised concerns that food supply chains will suffer disruptions as pollination services become more costly and less available. Hives can be impacted by habitat loss through land use changes, disease, mites, pesticides and even hurricanes. Given the challenges beekeepers in Florida face, it’s no surprise that state lands are being eyed as apiary sites. A decade ago, only a handful of beekeepers sought permission to set hives out on district lands, but as the demand grew so did the demand on district staff. There were more contracts to manage and more locations for field staff to keep an eye on. As the district’s Davis tells it, what used to be a quick “drive-by on the way to somewhere else” became more time consuming as the leases multiplied. Debbie Stratton, a district Real Estate Service Coordinator, who works behind the scenes managing leases on district land, agrees. Under the revised program, 10 beekeepers operate hives on more than 50 sites located on district land. Each site is only a quarter-acre in size and established in remote locations to ensure that the hives won’t impact other user groups, such as hikers or birdwatchers. However, district land managers have also worked with beekeepers to temporarily locate hives in locations where trash dumping or other problems have developed. Having bees on patrol has helped improve behavior in some places. If you’re out at a district conservation area and happen upon telltale white boxes buzzing with activity, keep a respectable distance and take solace in knowing these tiny miracles are putting food on your table. Visit www.sjrwmd.com/lands/apiary-lease to learn more about the district’s apiary lease program.